Firstly, let me thank all the future brides and grooms and their families who managed to plough their way through the driving snow to get to the Fair, I applaud your dedication! What a great day it was. 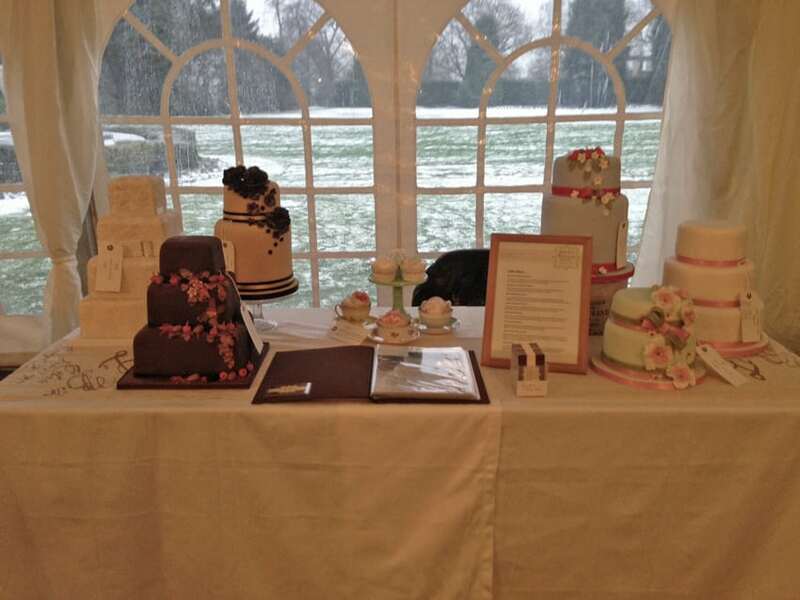 I met lots of lovely people, fab suppliers and of course was able to take in the beauty of The Lawn, Rochford. It was the first time I’d been there and what a beautiful wedding venue it is – no wonder it’s been favoured by Essex couples as their preferred place to hold their ceremony/reception over the last few years! Having the snow falling all day didn’t put people off coming and to be honest, when you looked out onto The Lawn’s beautiful grounds, it looked stunning. It was so cold that the fountain outside the marquee froze, which was an incredible sight! So, to all you future brides and grooms out there looking for a venue to hold your wedding/reception, I’d strongly advise you to take a look at The Lawn, Rochford. A beautiful venue with stunning grounds and very friendly staff to help you out and perhaps to finish it off, a gorgeous wedding cake from Sticky Fingers Cake Co…? !